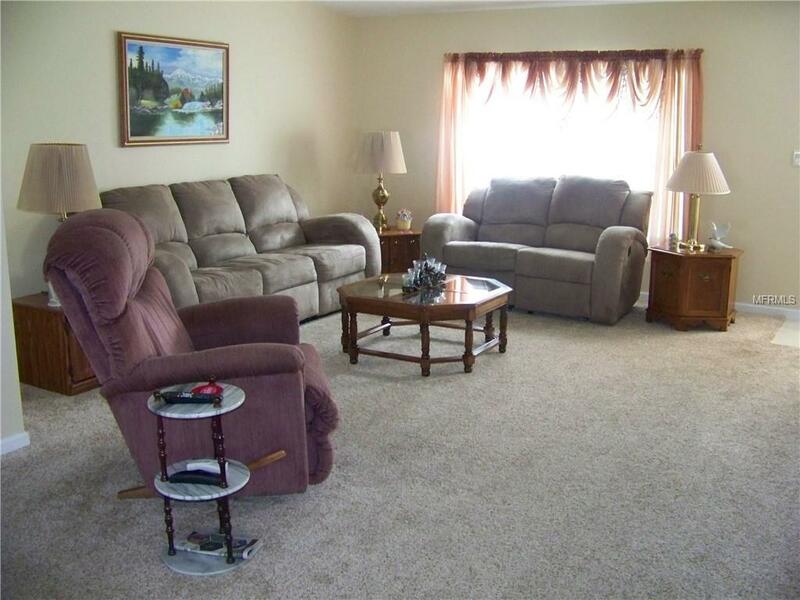 REDUCED!!!FURNISHED/TURNKEY! Stunning 3 bed/2 bath spacious home with an all weather lanai & side by side parking(carport) located in beautiful Burnt Store Colony, the "Mercedes Benz" of park living. 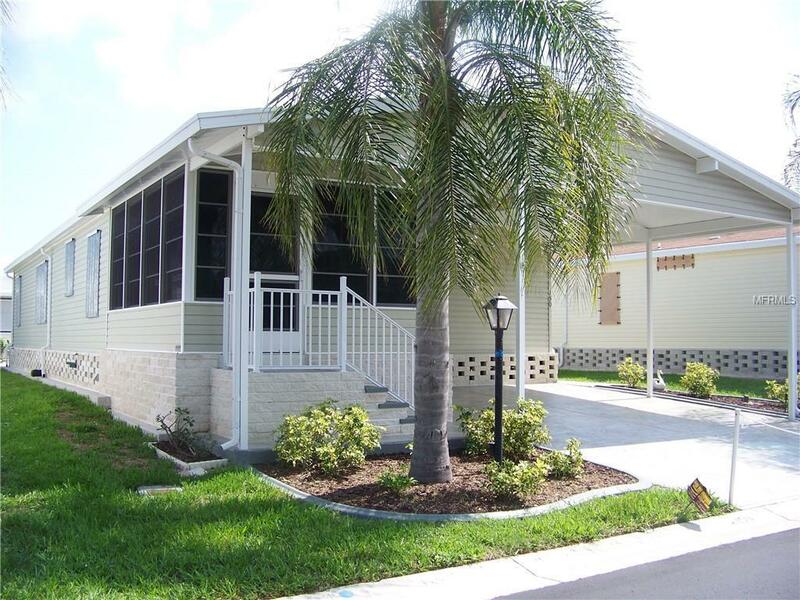 2004, very well maintained home offers a multitude of updates & extras! Complete architectural shingle roof(2018)replaced to bare bones, 2 new tube skylights(2018), complete A/C(2015-2016), smooth surface range(2017), built in micro(2017), new hot water heater(2019),accent int. paint & more! Also offered w/share($32,000)! All 3 beds are large w/good closet space. Baths have custom height vanities w/added shelving & tile floors. Kitchen has it all, including under counter radio/toaster oven, tile backsplash, dual sinks, extra shelving in some of the cabinets, tile floors & separate dinette area looking out sliders to lanai! Cathedral ceilings/walls are all drywall w/knockdown finish except baths/closets. 5 ceiling fans & laundry is inside. Lanai is nice & airy w/ high vaulted ceiling, all weather vinyl windows/screens. Carport is detached(for added security during storms)but reinforced and looks attached. 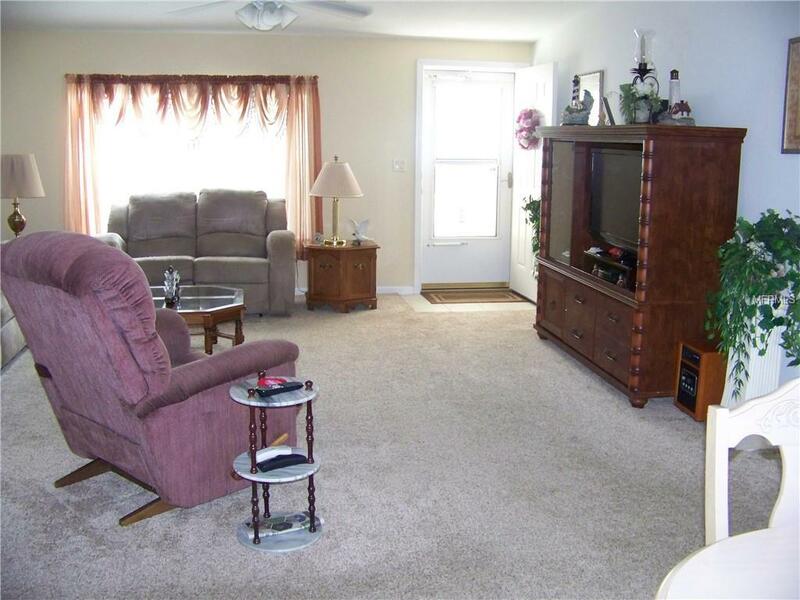 2+spaces for convenient parking, beautifully maintained stamped driveway, walkway & rear patio. A small view of pond w/water feature out a few windows or just by walking out back. PVC plumbing, no poly/grey pipes here! 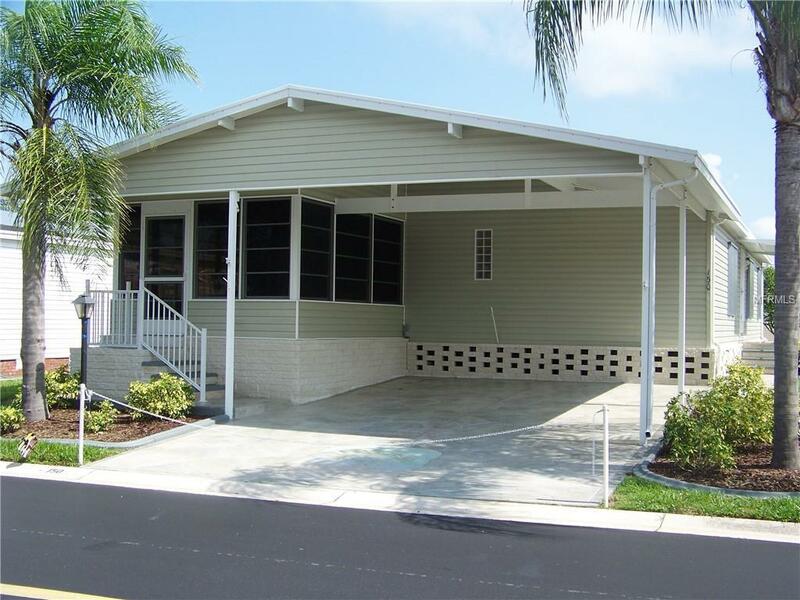 Tastefully landscaped w/concrete curbing & sprinklers/downspouts/gutters. Financing can be obtained, please call showing #.